The horse stalls at Kidwell Farm are empty for the first time in over 30 years. 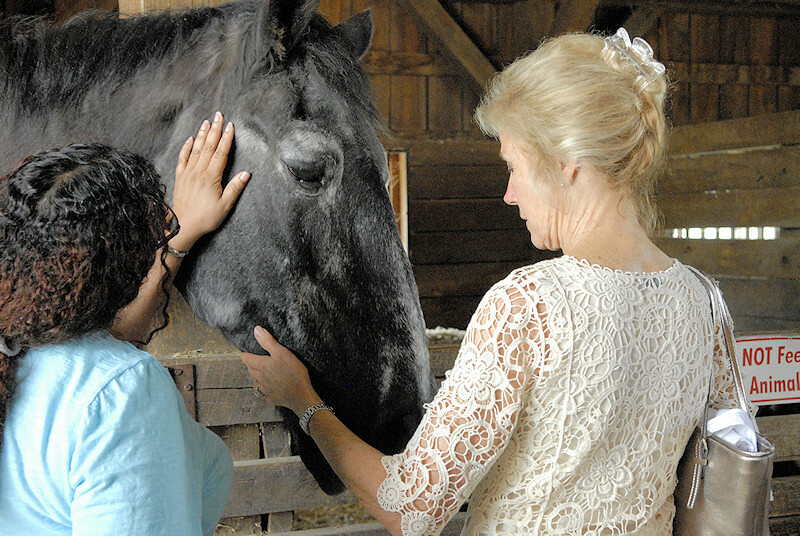 Jesse, a Percheron draft horse, passed away this past Sunday morning at the age of 35. Frying Pan Farm Park has been the home for draft horses for over three decades, until yesterday. The pastures, paddocks, and horse stalls were no longer filled with the gentle giants. 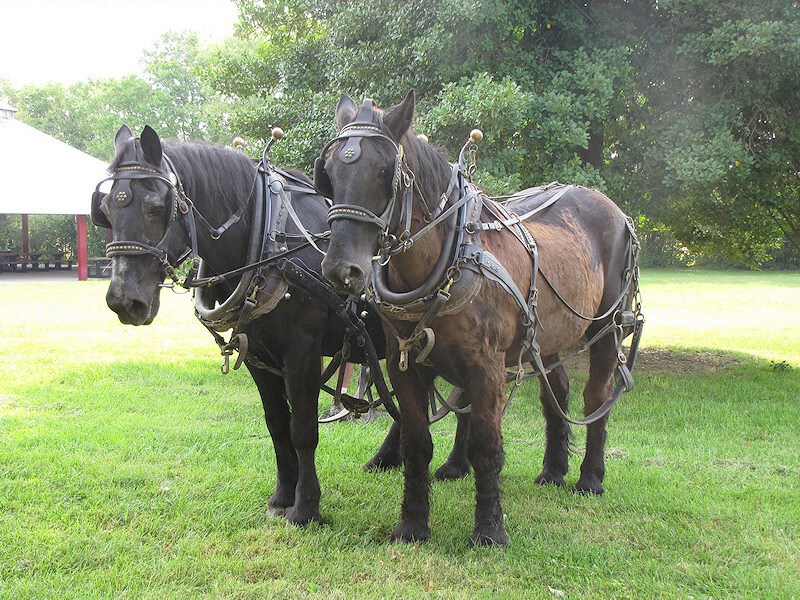 Jesse was a part of the beloved duo known by thousands as Jesse and Michael and could always be found pulling wagon rides and other antique farm equipment for demonstration purposes. When not working, they would be grazing in pastures with the other farm animals, or standing in their stalls waiting for the next child to be helped up by their parent to reach Jesse or Michael’s face and gently caress them. 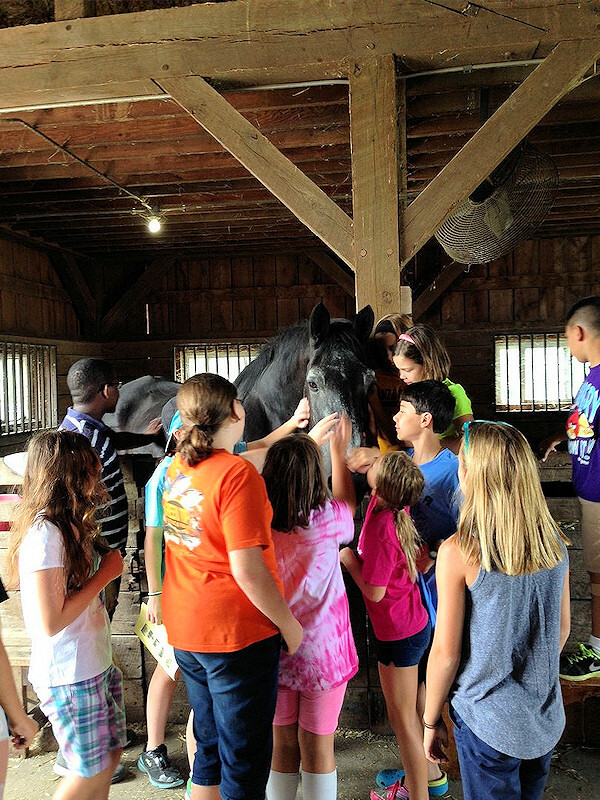 Michael passed away two years ago, and Jesse remained one of the farm’s most popular attractions. Frying Pan Farm Park’s Kidwell Farm is full of many other farm animals that are visited by hundreds of people daily, but the farm will look a bit vacant for right now without Jesse. Jesse was a wonderful part of Kidwell Farm and will be missed. 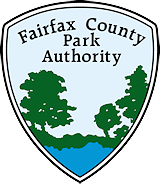 Author Todd Brown is the Operations Branch Manager in the Fairfax County Park Authority’s Resource Management Division and a former site manager of Frying Pan Farm Park. This entry was posted in Uncategorized on October 26, 2015 by Fairfax County Park Authority. Please replace Jeese with my percheron that I have to find a home for. He looks just like him. My husband died and I can not afford to feed him this winter so I have to do something. The Park Management should talk with Gentle Giants Draft Rescue to see if they have any adoptable drafts who would be suitable for the park. It is sad to think of Frying Pan Park being without draft horses. So sad to hear this news. My granddaughter (2 1/2) loved Jesse and thought of him as Her horse. She will miss him. My daughter, Penelope, is in love with all of the animals at Frying Pan, but especially Jesse. She will be heartbroken by the news. Is there any chance you’ll be holding some kind of funeral or memorial for him. I think some closer would help so many of his admirers. Our family loves both Micheal and Jesse. They will be missed. My son and I visited him last Thursday and I he came right up to us. So sad to hear this. Rest in peace with your brother sweet soul. My name is Anastasia. I visit frying pan farm once a year and I love Jesse and he is one of my horse friends. When I came back in march/12/2016 Jesse wasn’t in his stable and then I started looking for him in the pastures but he is not there. After half an hour my mom told me that Jesse died I was very sad. So sad that I cried and my heart is heavy. Good bye Jesse and I’ll miss you forever!